DRI Welcomes Director of Life Sciences - Direct Recruiters Inc. Direct Recruiters, Inc. (DRI) is pleased to announce that Sarah Pozek has joined our team as the Director of Life Sciences. Sarah works closely with Mike Silverstein, Managing Partner of Healthcare IT and Life Sciences to expand this practice area through new business development and filling the most crucial positions in Sales, Services, R&D, and Operations. 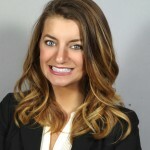 As the former Senior Regional Heart Walk Director for the American Heart Association and an Associate Sales Rep with Stryker Sustainability Solutions, Sarah brings a deep knowledge of the medical industry, experience in long-term relationship building, and a strong consultative approach when working with clients. During her time with Stryker Sustainability Solutions, Sarah was named Associate Sales Rep (ASR) of the Year 2013, ranked first in their foundation training program, advanced OR training and ASR in intermediate training. Subsequently, she was selected as a Regional Sales Trainer by directors and managers. Sarah graduated from John Carroll University with a Communications major and Business minor. She is currently pursuing her MBA at Baldwin Wallace University. To contact Sarah Pozek, 440-996-0597 or spozek@directrecruiters.com.